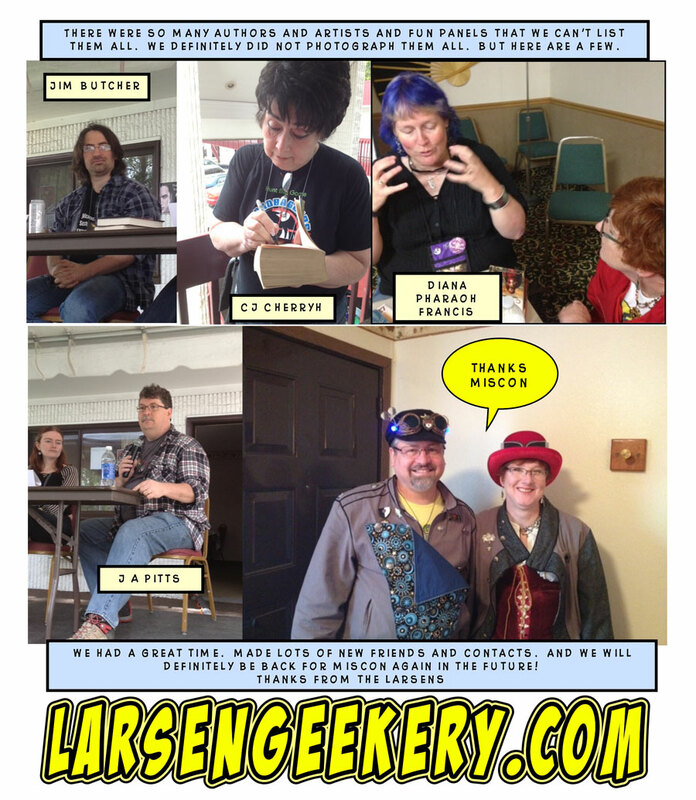 Larsen Geekery: MisCon 27 was an incredible show. MisCon 27 was an incredible show. The whole Larsen Clan went to Missoula Montana for MisCon 27 last weekend. 4 days of Con and 2 days of travel. We got home tired. But our brains and hearts were full of lots of cool information, fun, and friendship. The guest list was amazing. 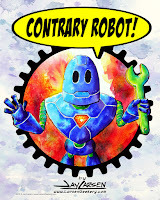 Go to the MisCon web site to see all the names. Evelyn was especially excited to meet Patricia Briggs (who writes Mercy Thompson) and Diana Pharaoh Francis. I was happy to meet CJ Cherryh, whose books I have been reading for almost 30 years, and her friend Jane Fancher. Siona took part in the writers workshops and got some great advice from MH Bonham of Sky Warrior Books. 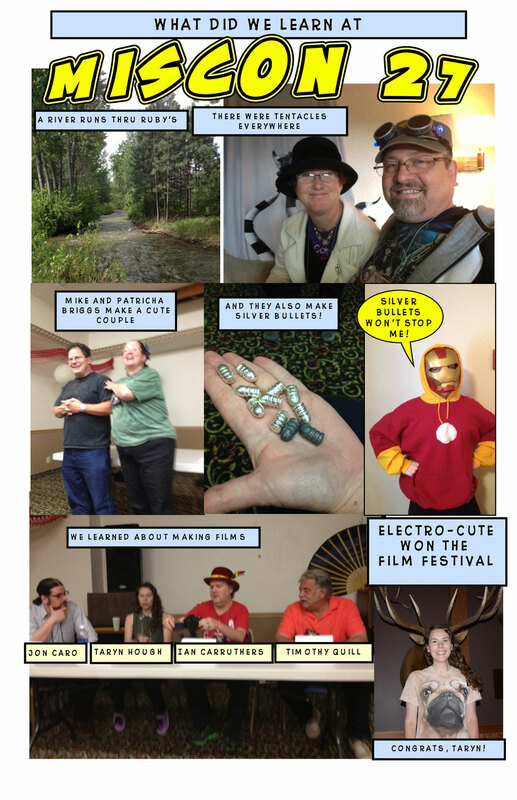 Chani learned a lot about film making from Taryn Hough, whose film Electro-Cute won the MisCon Film Festival! We discovered new talents and new friends. We will definitely be back again, and if you have a chance to go to a MisCon, you should. Hiya, Larsen Geeks! Ian Carruthers here. Really great to meet you guys at the con, and super stoked to see my blurry countenance on the "Indie and Low Budget Filmmaking" panel! I'm sure it was me who was blurry - I was up a bit late the night before. Met so many cool people - definitely coming back!